BLOWOUT SALE. 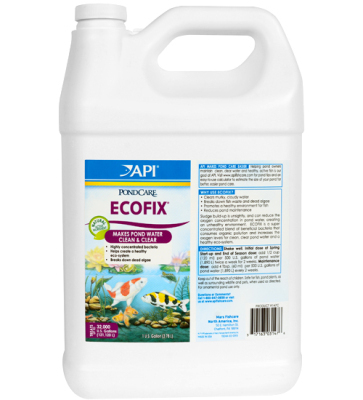 By digesting sludge and reducing dissolved organics, EcoFix Pond Clarifier reduces organic pollution, increases the concentration of dissolved oxygen in the water and creates and maintains a healthy ecosystem in your pond. Will NOT harm people, pets and wildlife. 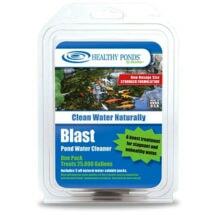 • Helps create a healthy ecosystem for pond fish. 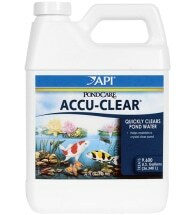 • Makes pond water clean and clear. 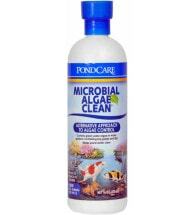 • Breaks down dead algae. 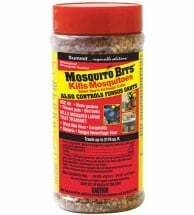 • Increases oxygen level in pond water. Initial dose or quick clean-up: Add 2 oz per 250 gallons twice a week for two weeks. Maintenance: Add 1 oz per 250 gallons (1/2 cup per 1,000 gallons) every two weeks. End of season: Add 2 oz per 250 gallons twice a week for two weeks.